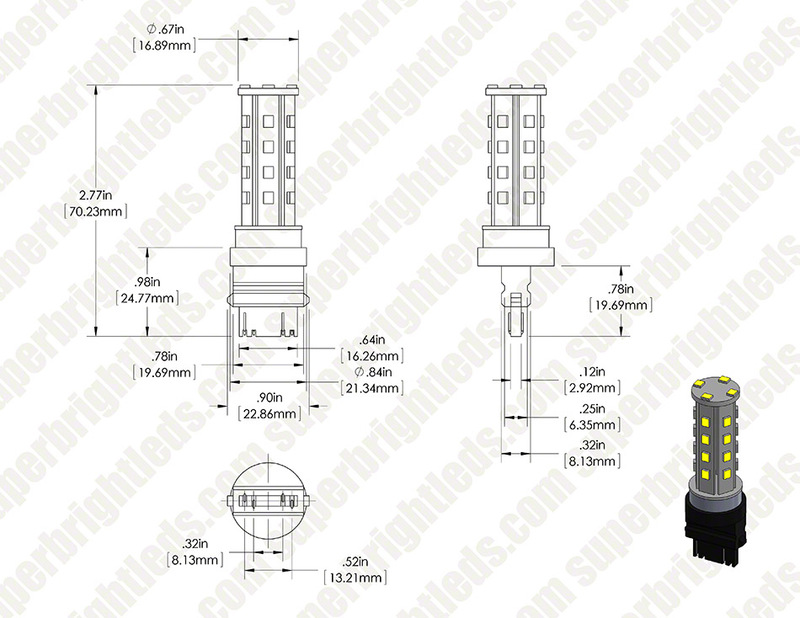 3157 LED Bulb - Dual Function 28 SMD LED Tower - Wedge Retrofit: On Showing Beam Pattern In Red, Amber, Cool White, And Natural White. 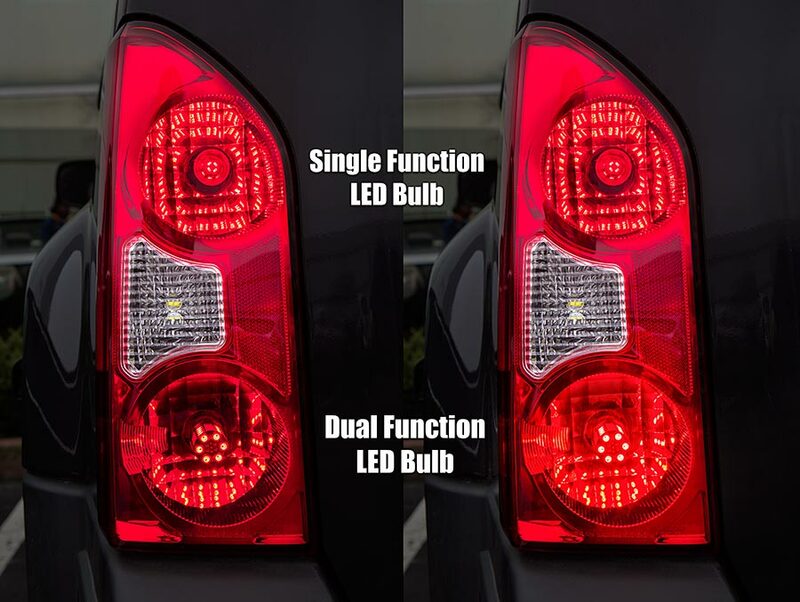 LED replacement bulbs can fit vehicle tail lights, brake lights, reverse lights, turn signals or side marker lights. 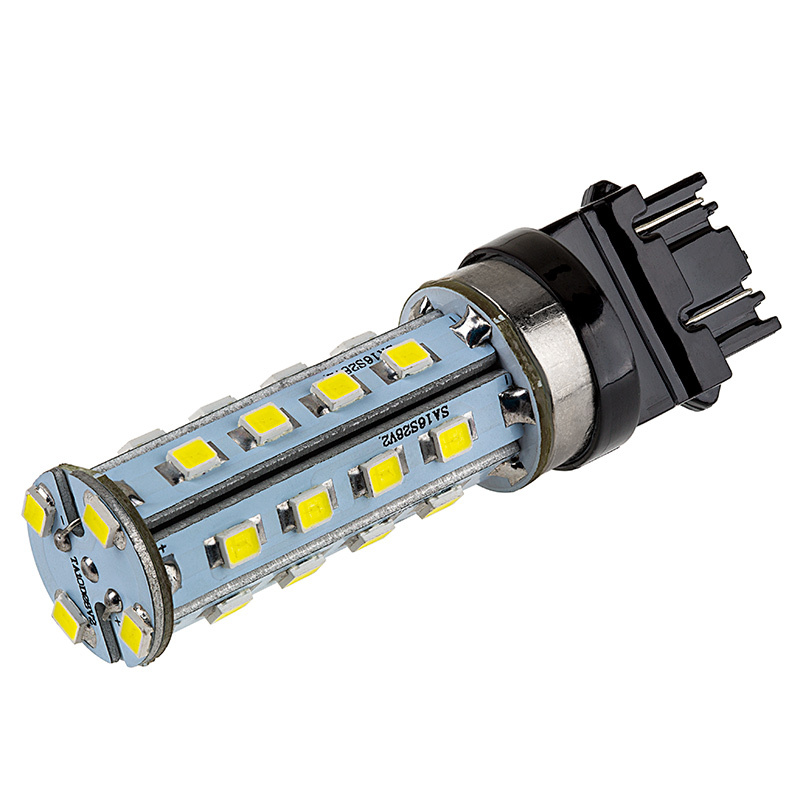 This 3157 dual-contact, dual-function bulb has 28 LEDs (0.5-watt SMD) that create a 360° viewing angle for better, allover light emission with reduced hot spots. Tower-style design with a 16-mm wedge base for easy plug-and-play installation. 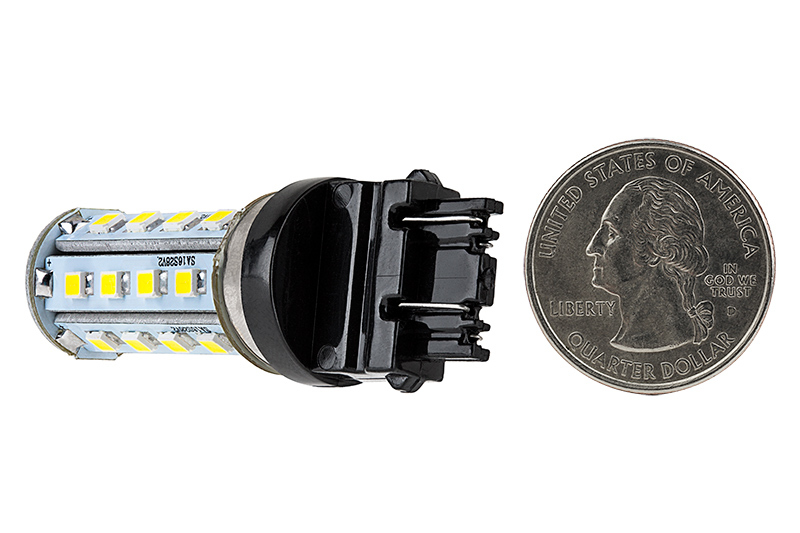 The energy-efficient bulb operates within a wide 9-14.8V DC range and is designed to last 30,000 hours on your car, truck, SUV, or van—25 times longer than incandescent bulbs. Available in cool white, natural white, amber, and red. Not sold in pairs. Price per bulb. I have a 2006 Ford Ranger, and was tired of the old and dim halogen bulbs. 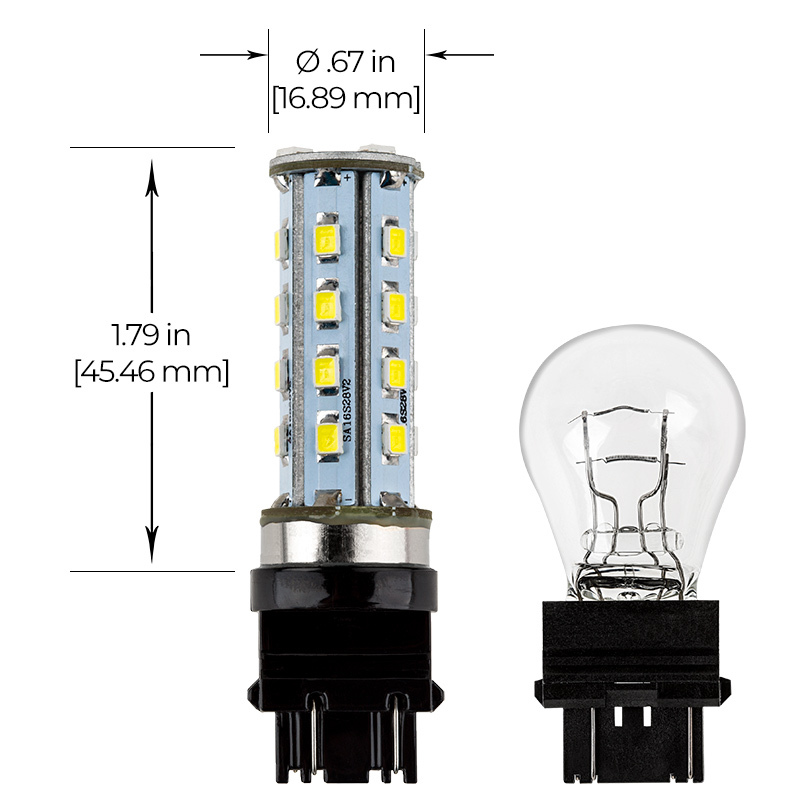 I came back to Super Bright LED's for taillight bulbs and stumbled upon these, they intrigued me because of the high lumen output and sweet-looking architecture. I got them shipped within 2 days and installed them...what a difference! 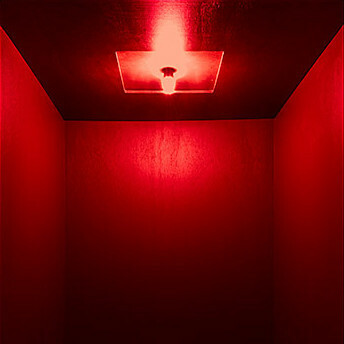 These bulbs have to be over 10X brighter; they are instant on and look great! If you have a truck like mine or a vehicle that has the brake light/turn signal/and night running light combined, you will need either a turn signal flasher or a load resistor kit...for my Ford Ranger, the easiest solution was an LED compatible turn signal flasher! Thanks SBL for great products and customer service as usual! 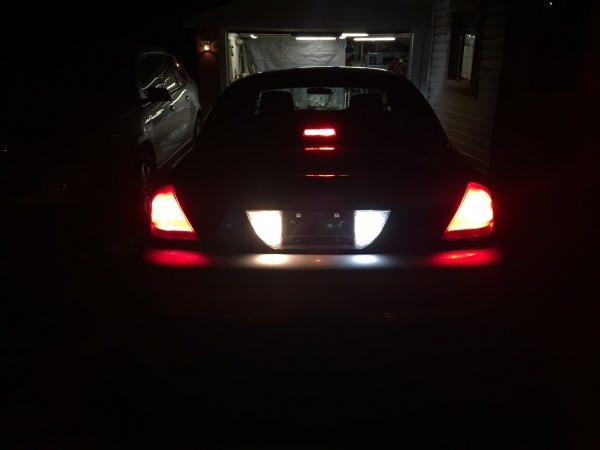 These are a great LED replacement as a Stop / Turn / Park lamp in a red tail light assembly. You will need some resistor parts to prevent the Hyper Flash. 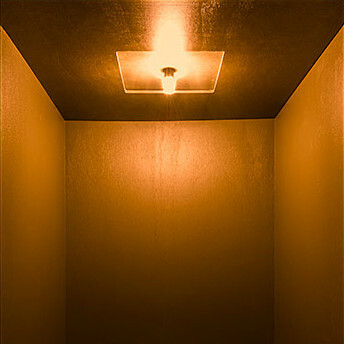 These lights were used in a late model Ford Superduty. I would definitely purchase again. 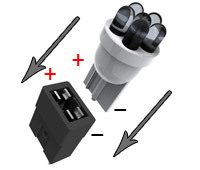 I have two of these bulbs in each tail light on my crown Vic, and they give slightly more light output than the old ones, but the big improvement comes in the activation time. When I step on the brake pedal, these LEDs light up noticeably faster than the incandescent bulbs. Drivers behind you will have a half second more time to react! 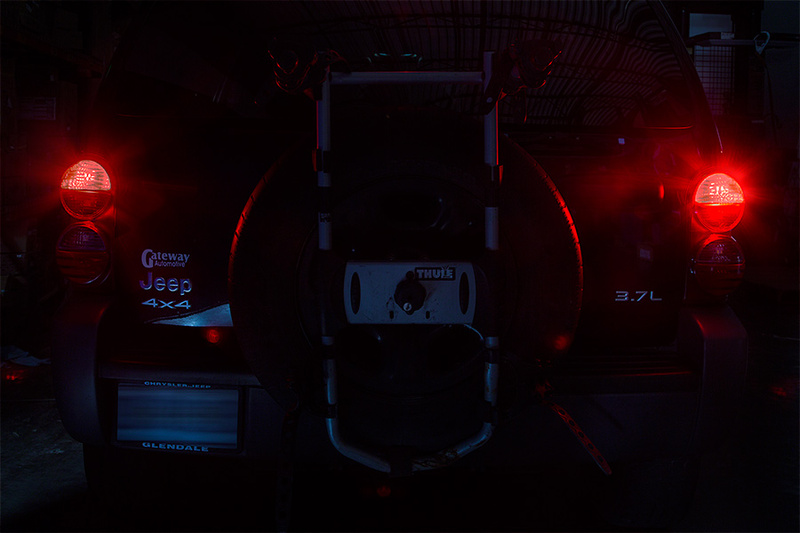 In the pic, I have all the lights on the passenger side replaced with LEDs, while the left side is stock, including the high mount stop light which has two bulbs on my car. 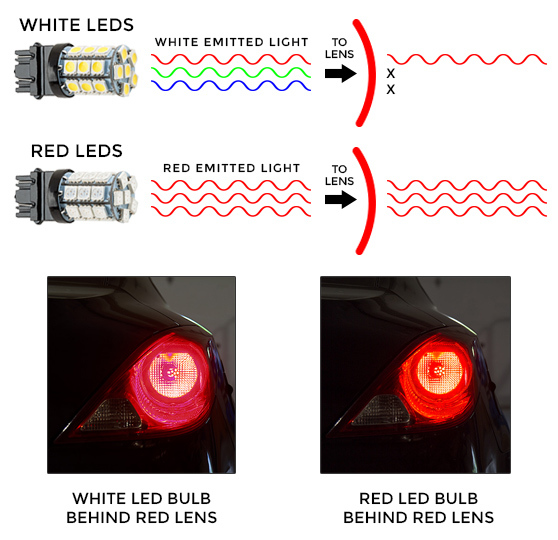 Ok...so i have been doing alot of research on led tail light bulbs because i wanted a bulb that would be at least as bright if not brighter than stock and completely fill the entire housing with light (we all have seen the small red led dot that guys put in) and lastly have a noticeable difference between parking and brake lights. Well this is it!! If your looking for the same thing which most of you are this bulb is what you want,no question. I installed these on a 04 Dakota which has a large housing and they are exactly what i was looking for...very bright and filled the housing perfectly. I also have a 12 Challenger so during the install i put one in it which has a different housing and was just as impressed. Of coarse the car requires 4 but they are just that good so gonna get them. Only issue was i bought a flasher relay to eliminate the hyper flash but it didn't work on my truck so i had to put in load resistors. Staff at sb were very helpful and friendly...great experience!!! So far, this pair of lights is working flawlessly. A previous brand worked fine for about 30 days. Then some of the SMDs began to flicker and go out after being on for several minutes. It may have been because the old lights were rated at 12 VDC. These newer lights are rated at 9-14.8 VDC. This application is on a 2003 GMC Yukon which may be delivering more than 12 VDC. This could be causing the OEM bulbs to burn out often. One installation note: The OEM sockets on this Yukon would not permit these LEDs to just plug in. 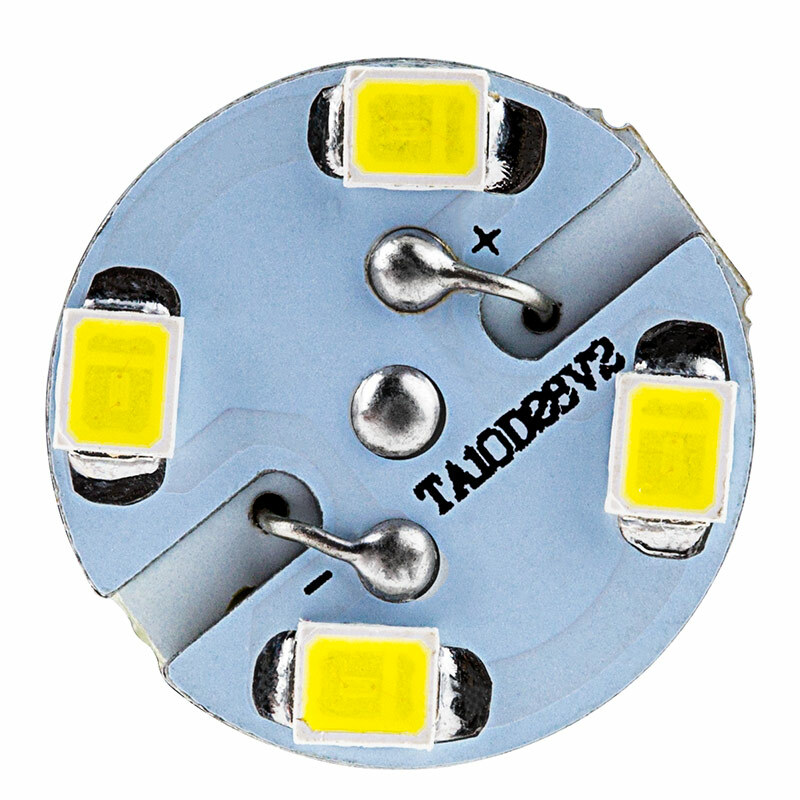 The plastic side nubs on the spade connector of the lights had to be filed down to allow the LEDs to seat into the socket.